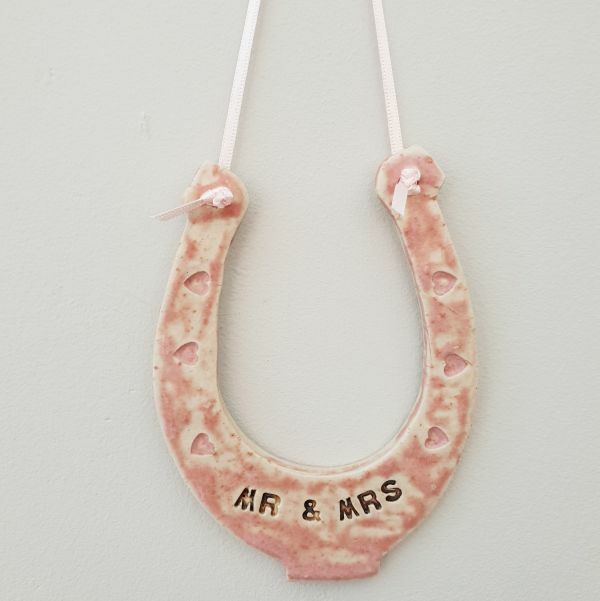 Handmade in my studio, these ceramic horseshoes are the perfect addition to a Bride’s accessories on her big day. An ideal gift for any bride. Will also make a lovely keepsake gift for a newly-wed couple, available personalised or ‘Good Luck’.